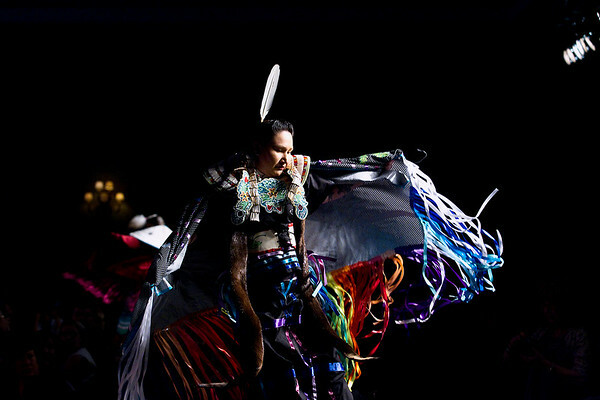 Samantha Callaway of the Grand Traverse Band of Ottawa and Chippewa Indians dances on the runway for Spa Grand Traverse during Saturday's Global. Art. Fashion. Hair show at the Grand Traverse Resort and Spa in Acme.